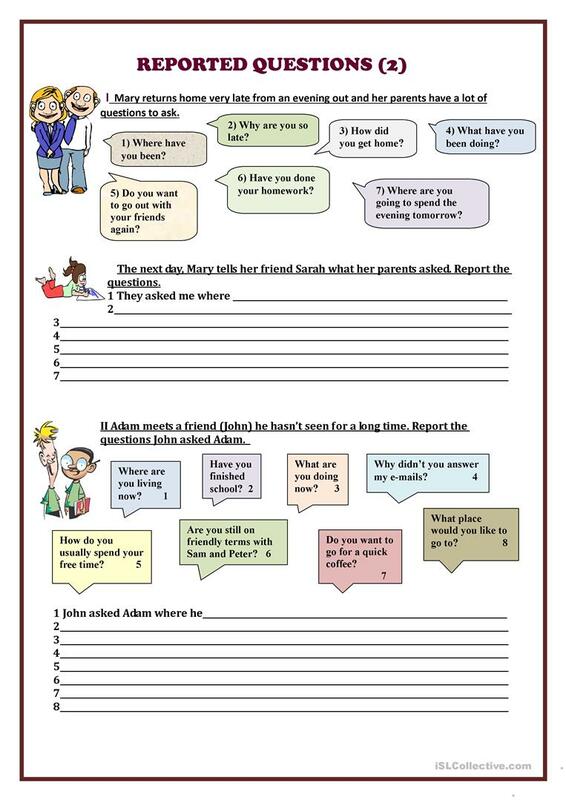 This is a worksheet for teaching or revising reported speech (questions), key is given. Hope you find it useful. The present downloadable worksheet is recommended for business/professional students, high school students and adults at Pre-intermediate (A2), Intermediate (B1), Upper-intermediate (B2) and Advanced (C1) level. 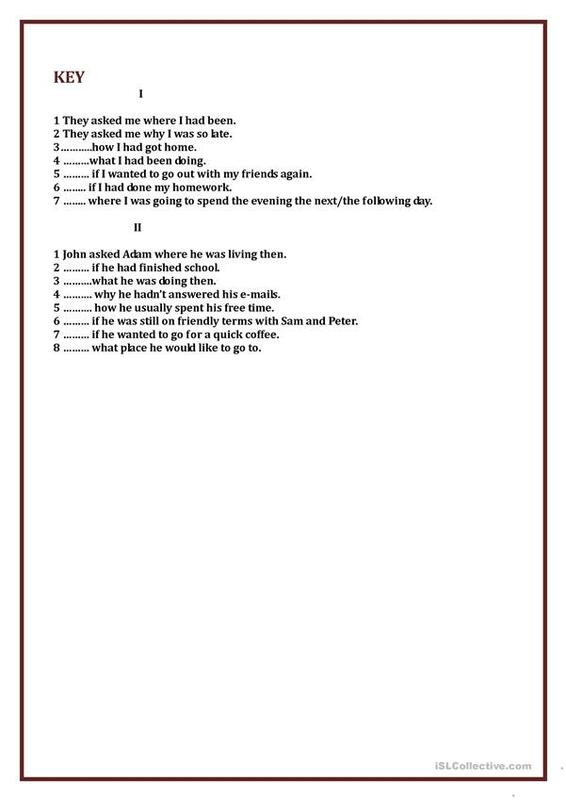 It is valuable for teaching Reported Speech (Indirect speech) in English, and is a valuable material for working on your groups' Spelling, Reading and Writing skills. It features the theme of People. The exercises come with answers.